AUSTRALIAN parents are the best in the world for spending time with their children. According to the Australian Research Alliance for Children and Youth (ARACY), Aussie parents get top marks for the amount of time they spend reading to, interacting with and caring for their children. The Organisation for Economic Co-operation and Development (OECD) found Australian children spend more than four hours per day with their parents, longer than all other countries measured including the US, UK, Finland and Sweden. But despite more parental interaction our kids are still getting dumber. 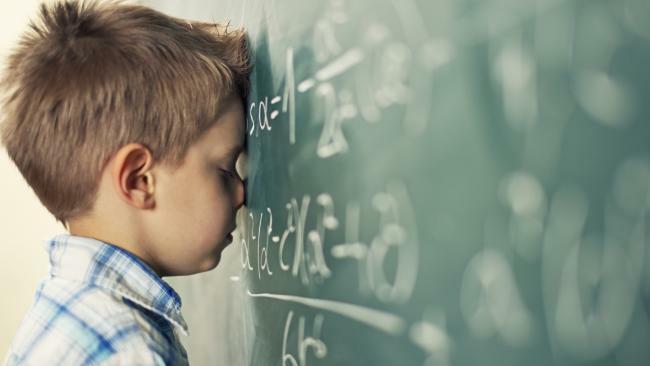 ARACY'S major five-year snapshot into the state of Australian kids revealed exclusively by News Corp Australia shows academically they're failing. In 2003, 88 per cent of 15-year-olds were at Level 2 or above for reading - dropping to 82 per cent in 2015. For maths 86 per cent were at Level 2 or above in 2003 compared to 79 per cent in 2015. On science 87 per cent of children were at Level 2 or above in 2006 compared to 82 per cent in 2015. Students who perform below Level 2 are likely to not be able to participate in real-life situations and are considered low performers. This comes despite retention rates through to Year 12 rising and the pressure our kids feel from homework the second worst among 26 countries measured by the OECD. The ARACY report card, released every five years since 2008, pulls together data from a range of sources, including the Trends in International Mathematics and Science Study, Progress in International Reading Literacy Study, Programme for International Student Assessment, Australian Bureau of Statistics and the OECD. 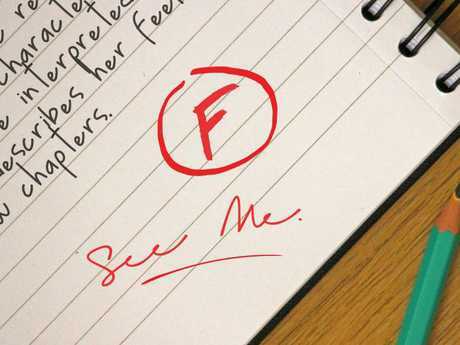 Our children are failing academically. In addition to the slide in academic performance for 15-year-olds, pre-school attendance for 4-5-year-olds has also fallen - from 85 per cent in 2011 to 83.3 per cent in 2014. Australia ranked 35 of 40 nations surveyed by the OECD in 2014 for pre-school attendance. The number of children with less than four educational possessions - such as books, desk, or a computer has risen from 32 per 1000 in 2009 to 41.1 per 1000 in 2015. And long-term unemployment among 15-24-year-olds is skyrocketing - up from 0.6 per cent in 2006 to now 5.9 per cent in 2014. Immunisation rates for two-year-olds have dropped and we're among the worst in the world for vaccinations on whooping cough and measles for this age cohort. The percentage of families living in overcrowded housing - with more than two people to a room - has risen. Stephen Bartos, ARACY chief executive, said the report card should be a "wake up call" to all areas of society to do better for our children. The picture was not great for our kids, especially compared to the rest of the world. "Australia can do better and should do better. It is everyone's responsibility and this should be a wake up call that our kids should be more of a priority," Mr Bartos said. He said there were some good measures in the report such as the rate of smoking and substance abuse falling among young people and fruit consumption among children rising. Education Minister Simon Birmingham said the government was doing all it could to improve kids school performance but that reforming schools was not the only answer. "Solutions are unlikely to lie in schools alone and require parents to think what more they can do at home to help and everyone to consider how recent changes like the pervasiveness of technology are used for advancement not distraction," he said. 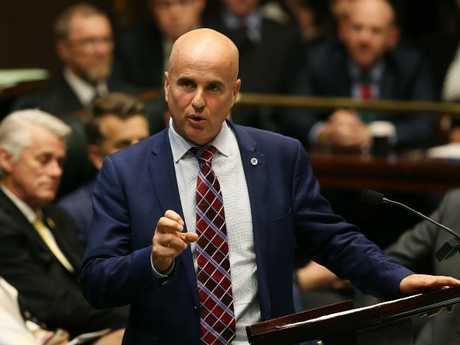 Adrian Piccoli, director of the newly formed Gonski Institute for Education, said there was a culture in Australia of not fully respecting education that needed to change. "Schools and teachers are also being asked to do more and more - rather than just focusing on literacy and numeracy," he said. On vaccinations, Margie Danchin, paediatrician and senior research fellow with the Murdoch Children's Research Institute, said the statistics should be of concern. "I do think that there is underlying vaccine hesitancy in the community and we need to think about how we can encourage more parents to vaccinate their children when they are supposed to." On overcrowded housing Malcolm Gunning, president of the Real Estate Insitute of Australia said cost of living pressures were playing into the increase. "There is a real affordability issue and many kids are choosing to move back with their parents or never leave in the first place," he said. "Some ethnic communities are also finding they need to stick together simply because living in our cities is so expensive." There are grave concerns that immunisation rates have dropped among toddlers. IMMUNISATION rates have dropped among two-year-olds as Australia's OECD ranking on whooping cough and measles continues to slip. While Australia has made strides overall on five-year-olds' immunisation rates nationally, largely in part to The Sunday Telegraph's No Jab No Play campaign, parents are still failing to get the message for their two-year-olds and some experts suggest the anti-vax movement may be gaining ground. In 2008, 92.7 per cent of two-year-olds were fully immunised, compared to just 90.5 per cent in 2017. In 2015 Australia ranked near the bottom in the OECD for measles immunisation (33 of 35) and 31 of 35 for whooping cough vaccination. For five-year-olds the percentage of fully vaccinated children is 94 per cent, up from 90.8 per cent in 2012. The Australian Research Alliance for Children and Youth (ARACY) five-year report card released today highlights the problem with our vaccination rate for two-year-olds and shows it could be in part because the anti-vax movement was making headway or at the very least parents were requestioning the need for vaccinations. ARACY chief executive Stephen Bartos said parents who didn't vaccinate their kids at the right ages were "just being selfish". "They are putting other kids at risk and it is important to stick to the national guidelines on immunisation," he said. Murdoch Children's Research Institute paediatrician and senior research fellow Margie Danchin, who specialises in vaccination, said many new parents were expressing hesitancy on vaccination. Dr Danchin said the drop could be due to anti-vaxxers peddling their untrue message that vaccines were unsafe but also that parents were worried about the false suggestion autism has a link with the MMR (measles, mumps, rubella) vaccine, which is delivered at age two. "I do think that there is an underlying vaccine hesitancy creeping in," Dr Danchin said. "Parents need to understand delaying vaccines comes at a cost - you are not protecting your child when they are most vulnerable for the disease." 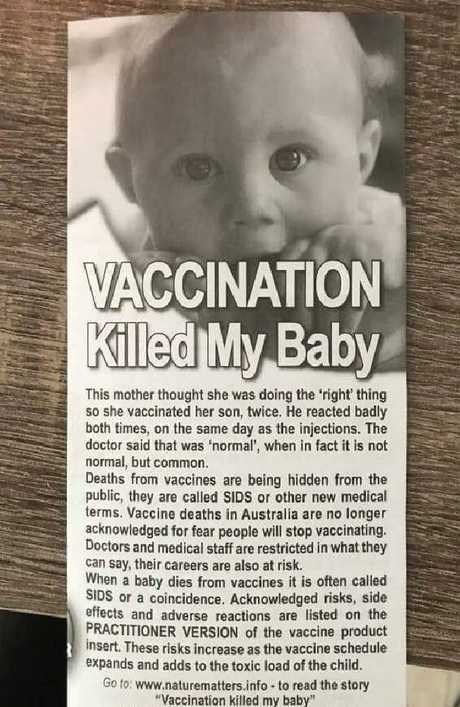 A since discredited pamphlet distributed by anti-vaxxers. Experts are concerned messages like this are aiding the anti-vax movement in gaining ground. Kirsty Douglas, professor of general practice at the Australian National University, said Australia's status compared to other countries on measles and whooping cough vaccination was of concern. She said those countries with high rates of immunisation were obviously doing things differently to Australia. A recent outbreak of the disease could also have helped boost their rates as more people are knowledgeable about the dangers of not vaccinating. But she said it was difficult to pinpoint exactly why there was a difference as health systems in individual countries differ. "Their health systems obviously drive vaccination more effectively than ours does," Professor Douglas said. "Driving vaccination is a complex issue. "I suspect in Australia because we haven't seen large outbreak of these diseases in a while that we have become immune or a little distanced from reality." Some experts suggest in countries like Sweden and Japan vaccination rates could be higher because of the altruistic nature of society where individuals are motivated to immunise so others don't get sick - rather than themselves. 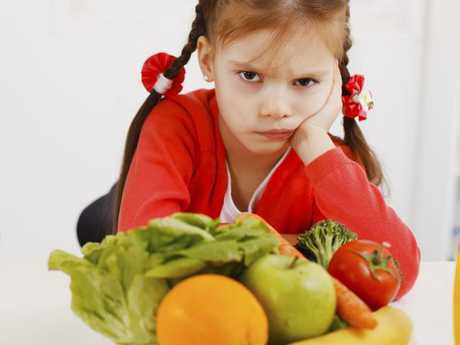 Kids hate vegetables more than ever. And two-year-old vaccination rates could be much lower than the five-year rate because financial benefits of vaccinating such as No Jab No Pay may not reach maximum potential until 4-5-years. AMA president Michael Gannon said he didn't believe the anti-vax campaign was gaining ground but more that parents were using the misinformation in the public arena to justify putting off vaccinations. "This is really disappointing and it is simply not good enough whatever the explanation," Dr Gannon said. "I don't believe that anti-vaxxers are winning the hearts and minds of parents but what we do see is that some of the negative messaging they put out does feed into perhaps the laziness or the lack of will to make sure that everything is done at the recommended times." 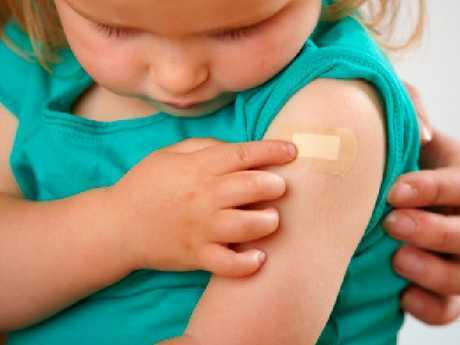 The Department of Health said recent addition of vaccines to the National Immunisation Program could be impacting the drop in fully immunised two-year-olds. However that still does not explain Australia's poor rating on the world stage for measles and whooping cough that have been longstanding vaccines on the NIP. Health Minister Greg Hunt said Australia had a great record on immunisation but more could always be done. "We have some of the highest rates on immunisation rates in the world but we must always try to boost them further," Mr Hunt said. "I have no time for the false and reckless claims made by anti-vaxxers and I will continue call out their dangerous claims." He said the government was continually investing in vaccinations. "This year alone, we're investing $460 million in vaccines and activities which boost immunisation. This includes free vaccines against 17 vaccine preventable diseases, including 14 diseases for children aged four years or under." AUSTRALIA is failing on the world stage when it comes to bullying, trailing the US, Russia and even Kazakhstan. 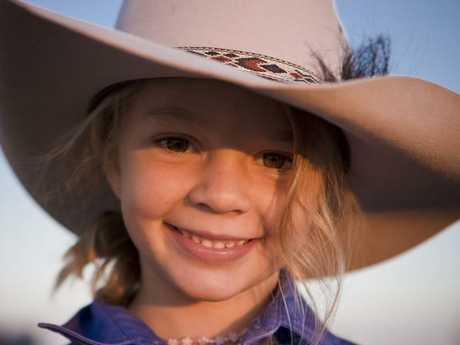 In the wake of 14-year-old Dolly Everett's suicide due to bullying that shook the nation, it can be revealed bullying among Year 4 students in Australia is among the worst in the world. According to the Australian Research Alliance for Children and Youth's (ARACY) five-year report card on kids released today Australia ranks 40 out of 49 countries surveyed on Year 4 bullying. Nineteen per cent of Year 4 students are bullied weekly and 35 per cent are bullied monthly based on data from the Progress in International Reading Literacy Study. Fifteen per cent of 15 to 19-year-olds say they are extremely concerned about bullying. This also comes as mental health issues among our kids continue to rise. In 2014-15 a total of 15.4 per cent of Australians aged 18-24 years suffered high or very high psychological distress - up from 11.8 per cent in 2011. The number of 15-19-year-olds with a probable serious mental illness has also increased from 18.7 per cent in 2012 to 22.8 per cent in 2016. ReachOut youth mental health service CEO Jono Nicholas said the rise of cyber bullying meant many young people could not escape the reaches of the schoolyard bully in the modern 24/7 world. "The data supports what we have known in Australia for a long time - that mental health is a major issue for Australian young people and rates of bullying continue to be far too high," Mr Nicholas said. "These two issues need to be at the top of any government's agenda with more investment needed for frontline services to help young people and their parents respond to the current crisis." 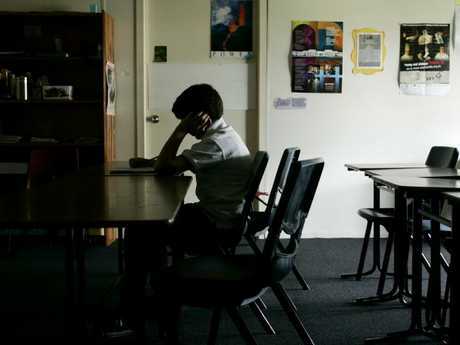 Mental health figures among children and teenagers are said to be at crisis point. Former Australian of the Year and mental health campaigner Patrick McGorry said the figures on mental health were "extremely worrying". Professor McGorry said more investment was needed to reduce the pressures on young people. E-Safety commissioner Julie Inman Grant said Australia was actually ahead of other countries when it came to prevention strategies against bullying. "Other international studies, including the Microsoft Digital Civility Index, ranked Australia second for digital civility, out of 13 other countries - taking into account the perception of teens and adults on the state of digital civility," Ms Inman Grant said. Education Minister Simon Birmingham said he had asked the state and territories to come up with ideas on how best to target bullying. "Unfortunately there's no silver bullet and it needs a concerted focus not just from leaders of school systems, but from families as well," Senator Birmingham said. "Following the discussion of bullying at COAG I have asked all state education ministers to bring their examples of effective anti-bullying programs and the evidence that supports them to our next education council meeting to help them to apply to best approaches from across the country." PARENTS rejoice - we're starting to win the battle with our kids on fruit intake. But when it comes to vegetables things still look pretty dismal. 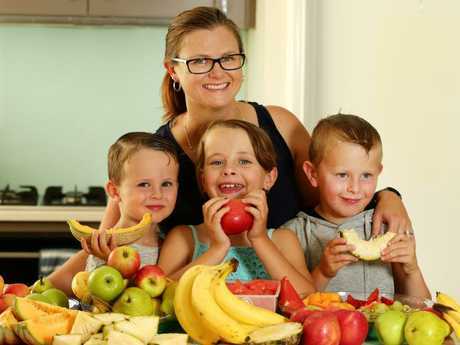 The latest Australian Research Alliance for Children and Youth (ARACY) five-year report card into the state of our kids has found the number of children aged 2-18 who meet the daily recommended fruit consumption has risen with close to 70 per cent meeting standards. In 2007, just 53.3 per cent of kids aged 2-18 were meeting minimum requirements for fruit intake - two serves a day - compared to 68.1 per cent in 2014-15. But on vegetables the picture is depressing with just 5.4 per cent of 2-18-year-olds meeting the minimum five serves of vegetables a day in 2014-15. This was down from 5.7 per cent in 2007. Combined with an increase in obesity rates among 5-24-year-olds - from 29.6 per cent in 2007 to 31.6 per cent in 2014-15 - and a decrease in the number of children free from tooth decay - from 61 per cent in 2007 to 58.3 per cent in 2014 - our children's diet and nutrition isn't looking all that crash hot. Miriam Raleigh, paediatric dietitian with Child Nutrition said it was positive that fruit intake was up. "It's great because in terms of vitamins and minerals fruit and vegetables hold a similar amount," she said. But Ms Raleigh said calorie intake of fruit was often higher which could be a contributing factor to growing waistlines. She said she was seeing "a good handful of families" each week concerned about their children's vegetable intake. "Because of life and work and the busy pace of our lives a lot of families don't actually eat together anymore," Ms Raleigh said. "And as a result when children resist eating vegetables parents often don't keep encouraging them because they're tired and they don't want to waste food. "Children also don't see their parents eating vegetables which means they are not being modelled the behaviour." Aloysa Hourigan, spokesman for Nutrition Australia, said the figures on childhood intake mirrored what was also happening in adults. "It's really no wonder that children aren't doing better," Ms Hourigan said. "Diet has the biggest impact on burden of disease so if we swapped some of the less healthy foods adults and kids are consuming instead for more veggies and a little more fruit everyone's health would be better." - Get them involved in the cooking and even growing process. If kids feel a part of something they are more likely to want to try the food. - Eat meals together. If your children see you modelling the behaviour of eating vegetables they are likely to follow. - Keep offering it to them. Even if they don't eat it the first few times, keep putting it on their plate - eventually they will get the idea. - Try different ways of serving vegetables. Kids often don't always like eating plain steamed vegetables. Remember adding flavour is important. - Don't make eating vegetables a punishment. Encourage your kids to eat vegetables nd explain the benefits (such as carrots are good for your eyes etc). - If you are stressed about their intake try and hide vegetables in food - sauces, muffins, smoothies - but remember it is important for your kids to eat the whole version too as when it is grated or pulverised it is digested differently, changing the gut microbium.